It’s no surprise that in my world the outdoors is as important as the indoors. After all, what’s a beautifully furnished home without equally beautiful surroundings? Every month I’m showcasing my favorite exteriors and gardens in a feature that looks at landscapes that I love. Summer’s crisp and refreshing designs showcase elegant lawns and terraces. 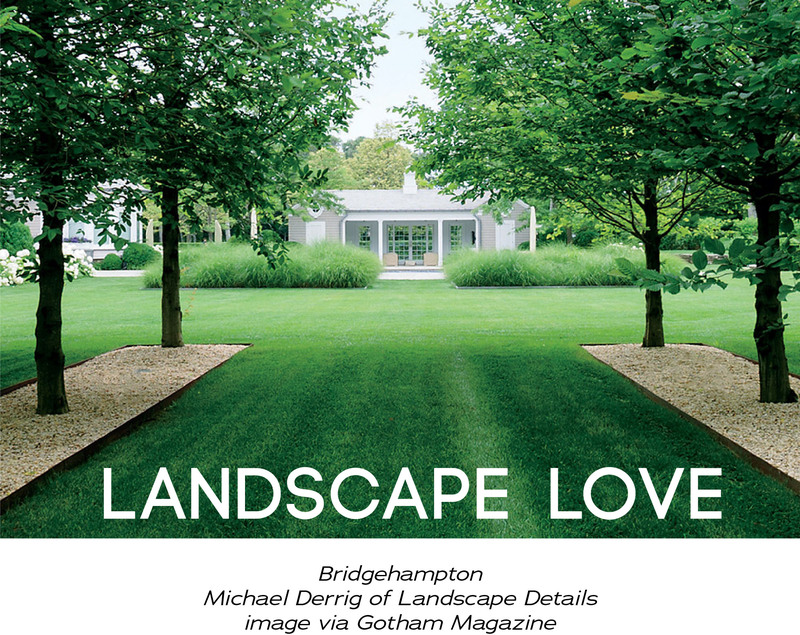 This featured exterior by Michael Derrig of Landscape Details via Gotham Magazine is a nod to the Hampton home’s clean lines and geometric architecture.